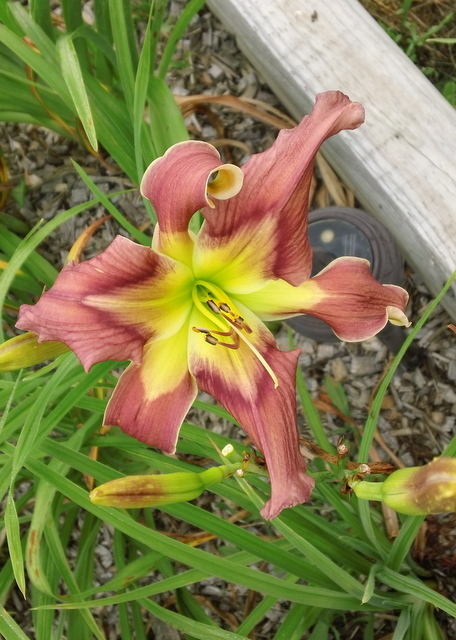 _Starting Daylily seeds is quite simple regardless of your gardening experience. 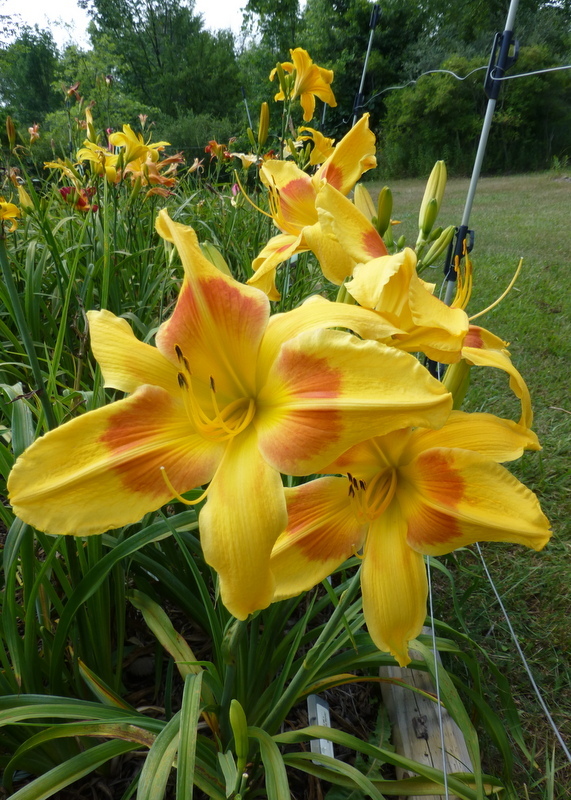 There are as many different methods of starting Daylilies from seed as their are growers. Don't be afraid to experiment and find what works best for you. You could just stick them in the ground somewhere and let nature take it's course. I prefer to start my seeds under lights during the winter. Not only does this give my seedlings a head start, but it gives me that gardening fix I need during the long winter months. An easy set up is to use a chrome shelf that you can purchase from a "big box" store, and hang regular shop lights from the shelves. You do not need special lights in the fixtures. Most people agree that the seeds need a cold period of at least 3 weeks in order to germinate. If you have grown and harvested your own seed, this can be accomplished by drying the seeds for at least 24 hours, and then storing them in the refrigerator for a few weeks. If you have purchased seed, the grower has probably had them in the refrigerator long enough, and they should indicate that when you make a purchase. As soon as I receive or harvest and dry my seeds, I put them into zip-loc bags with the cross clearly marked on it and then into a plastic container in the fridge until I am ready to start them. I usually begin planting seeds in January or February. Root Development Using "Bio Sponges"
Loosely lay a piece of plastic wrap over the top of the pot. 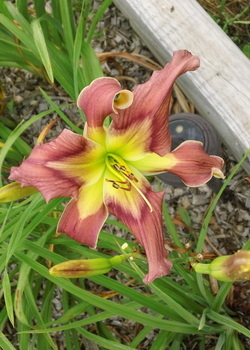 You don't need to put this pot anywhere in particular until the plants start to appear, usually in 7 to 10 days. When you start to see green move them under your lights and take the plastic off. You can transplant your seedlings to individual pots once they are a few inches tall, and at this point use a Miracle Grow type potting soil. I use the deepest drinking cup I can find and drill drainage holes in the bottom. Put several cups together and then just use a electric hand drill to make a few holes in them all at once. I bottom water all my seedlings with a weak Chamomile tea. (1 tea bag per 1/2 to 1 gallon of water) I don't know why the tea works, but using it has almost eliminated damping off and seems to minimize fungus knats. I have some very sturdy trays that the pots sit in, and I simply keep them filled with my tea solution. They can go dry for a while, but most of the time I just keep the seedlings sitting in "tea". If you use well water and a water softener, I suggest getting your water from a point before it goes through the softener. Since I started doing that, I have much healthier seedlings. 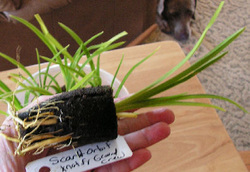 Seedlings of any kind do not like the salts that are in softened water. When Spring arrives, seedlings started in pots or flats must be hardened off gradually to full sun. Place the seedling in full sun for only 2 hours the first day, and gradually increase the amount of time in full sun. Within a week they will be strong enough to survive in the garden. "George Jets On" x "Mythperception"
"Fooled Me x Webster's Pink Wonder"